Friday, June 4, 2010 at 7:00pm. Festival lasts 3 days! By: In the House FestivalJune 4-6, 2010, the In the House Festival brings live performances of all kinds into the homes of Commercial Drive. Time: Box office opens at 5 pm On Friday, June 4th, and at noon on Saturday, June 5th and Sunday, June 6th. The first show is at 7:00 pm on June 4th and 2:00 pm on June 5th + 6th. Address: The box office is located on Napier and Victoria. All the venues are in the surrounding neighbourhood. 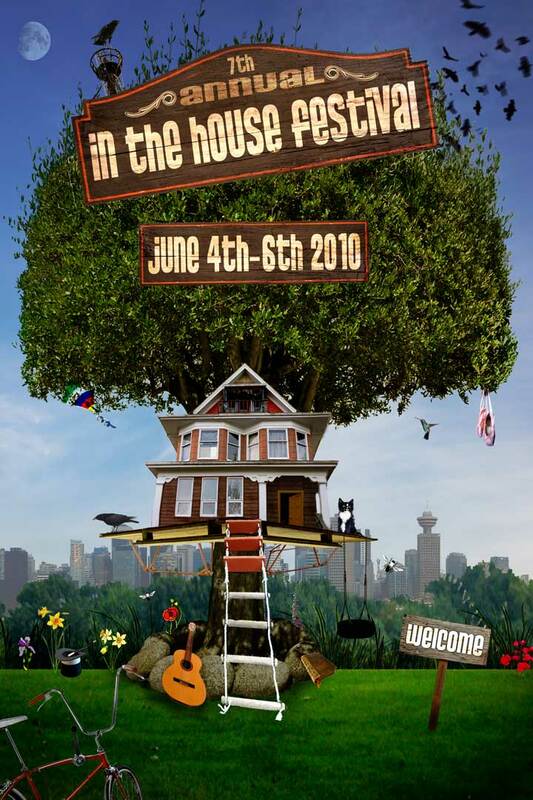 www.inthehousefestival.com for tix and schedule.